A bright, uniform smile is one that many people aspire to have. Cosmetic dental treatments are available for those looking to achieve a certain smile aesthetic. At 1st Scottsdale Dental, Dr. Marjan Nejad provides cosmetic dental services using the latest in dental techniques and tooth-colored materials.Ready to enhance the look of your smile? Contact our practice today to schedule a consultation. Restorations and enhancements, such as crowns, fillings, or veneers, require shade matching. Depending on your needs, our Scottsdale cosmetic dentist recommends patients to whiten their smiles prior to additional treatments. Teeth whitening can be done in office as well as at home. This procedure lifts extrinsic stains like those caused by drinking tea, coffee, and wine, and results are a brighter, whiter smile. Tooth-colored fillings are a great options for patients with minor issues with the smile, such as chips and caries. Made from composite resin, this treatment is less noticeable than traditional amalgam fillings. Aesthetic materials such as porcelain are used for our crowns. Once smiles are whitened, shade matching is simple. If you have chips, cracks in the enamel, or have large cavities that must be filled, porcelain crowns restore the structure and strength of the smile once decay is addressed. Dr. Nejad recommends porcelain, metal-free crowns for a superior aesthetic that blends naturally with the rest of your dentition. For patients with large gums or smiles that are uneven or spaced out, we provide porcelain veneers in Scottsdale to create a naturally uniform look. These thin wafers of porcelain can effectively hide intrinsic stains that are difficult to whiten with bleaching treatments. If you find you have smaller teeth compared to your gums, veneers can be fabricated to the specific shape for a full, Hollywood smile. 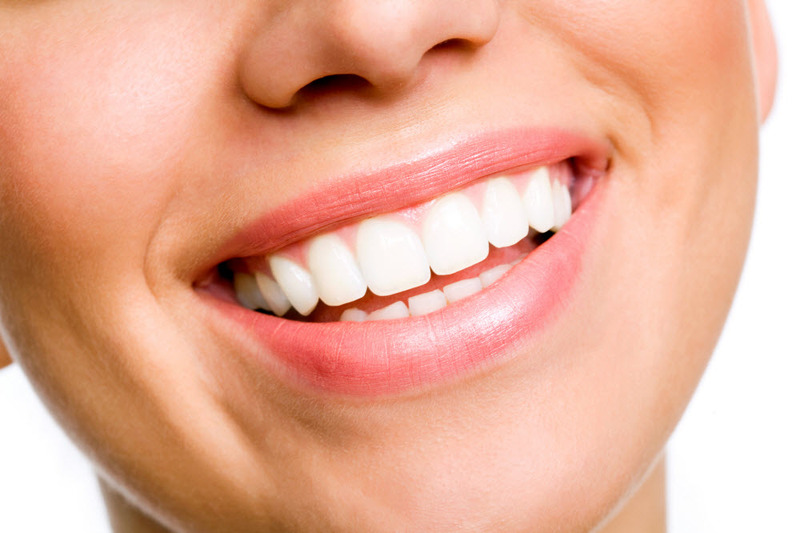 Porcelain veneers are the cosmetic option our Scottsdale dentists recommend for full smile restoration. Dr. Nejad is meticulous and creative when creating these aesthetic restorations and developing a cosmetic dental treatment plan. She takes the time to gather accurate details of your tooth, including its shape and color, so that your restorations appear natural. We work closely with trusted local labs to create our porcelain veneers and crowns, and can provide superior results similar to brand names you may know. Our cosmetic treatments also include replacing missing teeth with bridges and dental implants, as well as straightening teeth with options for clear braces. 1st Scottsdale Dental provides cosmetic dental treatments for patients looking to revamp the look of their smiles. For more information about our cosmetic services and to schedule a consultation, contact us today!